If you’re a keen brewer and you follow Australian BrewsNews, you may have already heard that Canberra Brewer Bentspoke Brewing has announced they will maintain their employees Sunday and Public Holiday penalty rates, despite the recent cut affecting hundreds of thousands of hospitality and food industry workers across Australia. It goes without saying that I’m a big biased fan of Bentspoke Brewery. And not just their beer, but their food as well! Richard and Tracey’s success as brewers and small business leaders in Canberra is in no small part attributable to their community-minded approach to their work. Their passion for Canberra and for beer is displayed through the enthusiasm of their staff and the way they interact with their customers. This news is another way they have shown respect and care for everyone involved in their brewery. 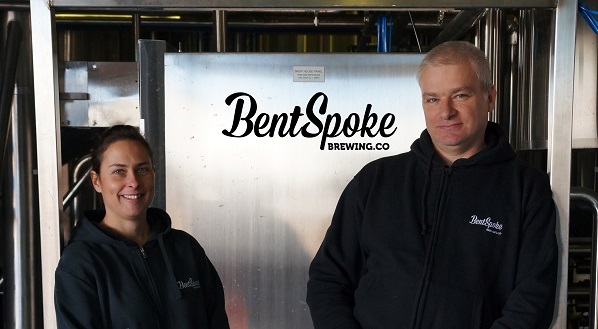 “BentSpoke Brewing Co is pleased to announce that NO rates will be reduced for our employees,” said co-owner and head brewer Richard Watkins. “Whilst this will have significant financial impact, we acknowledge that our employees are an integral part of the success of BentSpoke and we value the contribution that each employee makes to the business. “While we have enormous respect for the Australian Hotels Association (AHA), and all the great work they do, we’re choosing to support our staff regarding the changes to the payrates” Watkins concluded. The news was greeted with support from some of Canberra’s elected representatives. 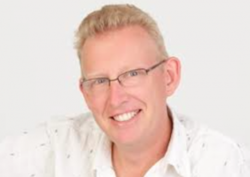 Hopefully, Bentspoke’s lead on this issue and the support for the news on social media will be replicated by other successful small and medium Canberra businesses. The Fair Work Commission has updated the pay rates as per the Hospitality Industry General Award 2010 (HIGA). The new award rates show an increase of 3.3% across the HIGA and come into effect from the first full pay week commencing on or after 1st July. The exception to this is the Sunday rates for full-time/part-time employees have been reduced from 175% to 170% and the public holiday rates for full-time/part-time reduced from 250% to 225%. Casual employee’s public holiday rates have been reduced from 275% to 250%. Elias Hallaj (aka CBRfoodie) is a part-time food blogger and full-time political staffer who has joined RiotACT as a regular contributor. All opinions are his own, especially about food, beer and penalty rates. If you have any tips or feedback you can find him on Twitter @CBRfoodie. Thanks for this Elias. It illustrates that businesses can and do pay more than the minimum in order to attract, retain and reward good staff. Doesn’t this sort of action somewhat undermine the message unions and labor try to run regarding industrial relations? So you mean businesses don’t have to have government mandated “penalty rates” to pay their staff extra? That if weekends are unsocial hours (as claimed by penalty rate supporters), then businesses would have to pay higher rates of pay off their own bat to incentivize staff to work those hours regardless? This business isn’t offering “penalty rates”, it’s offering market rates as it sees necessary to maintain its workforce, without the need for government intervention. b.	the PR goodwill created by such an announcement at a time when penalty rates feature prominently in the news cycle. All businesses in this city have the option to pay their workers above the award and those that have the foresight and most importantly the economic capability to do so should be commended.